CEEC supplied 5 units FOTON 6x4 water tanker trucks for Uzbekistan in January 2019. 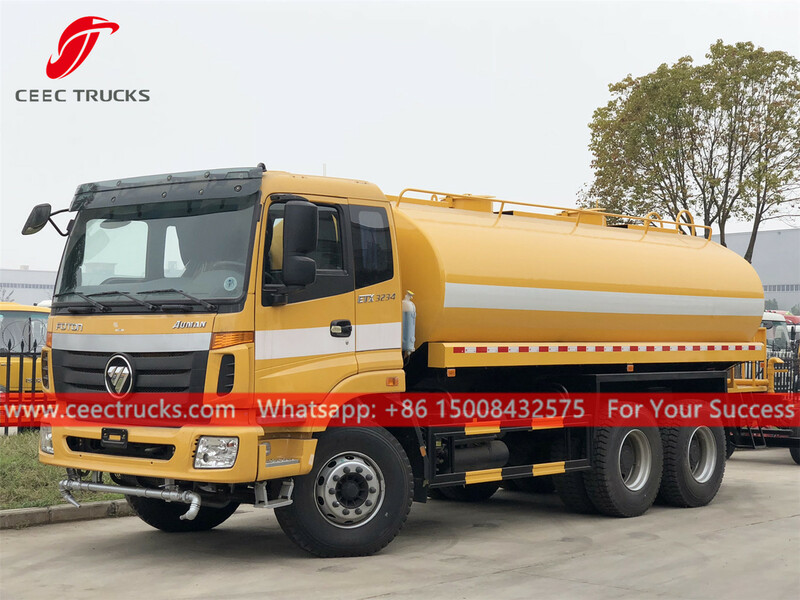 Water bowser truck FOTON (also called Water bowser, Water tanker truck, Water tank lorry, Portable water tanker) is widely used for the road flushing, tree and lawn greening, high building cleaning, construction of road and factories. It has the functions of flushing, watering, transporting water and fire fighting. 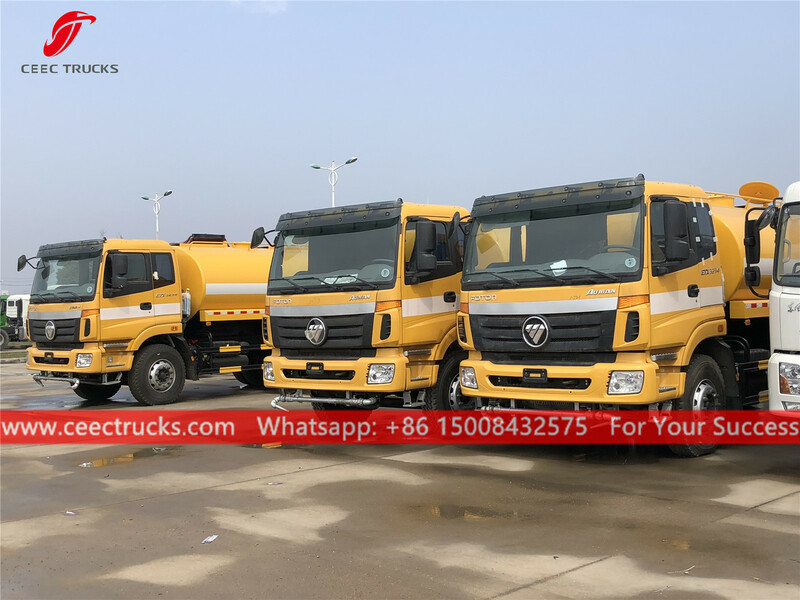 These 5 units FOTON water spraying trucks are made of high quality carbon steel sheet, based on FOTON 6x4 chassis, using FAST 9-shift manual gearbox, WEICHAI 270HP diesel engine, famous brand water pump, equipped with front, middle and rear spraying nozzle according to customer's requirement, the tank volume is 20 CBM. CEEC TRUCKS is a leading exporter of FOTON water trucks in China. We have more than 10 years experience in water bowser trucks export. The price and quality of our products have been unanimously recognized by our customers. We can ensure the fast delivery time and 12 months guarantee for our tipper trucks. 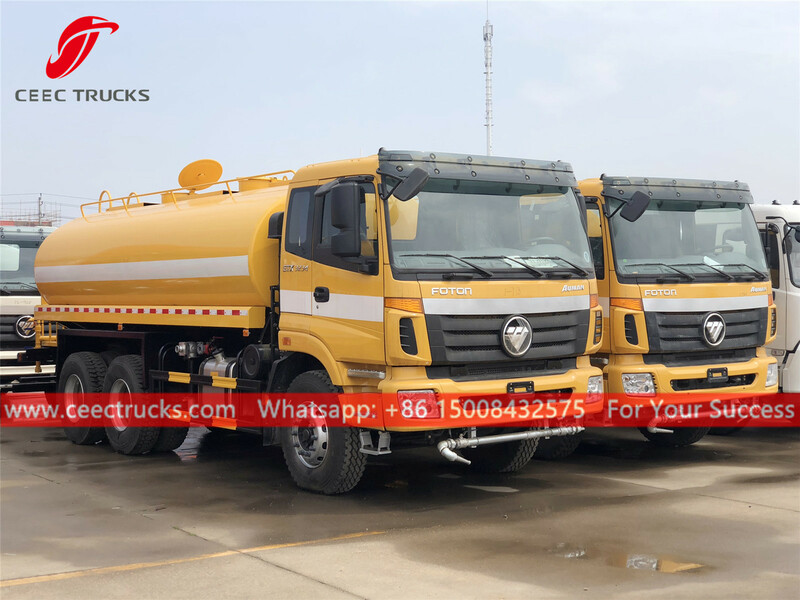 Our FOTON water spray trucks are sold to more than 80 countries including Eastern Europe and CIS countries, Africa, Southeast Asia, Central and South America, Middle East, etc.